"I was born on a syzygy." "And what is a syzygy?" I have been asked several times already, so here's a quick explanation! Where did the word come from? Pronounce as [see-zee-jee], it is late Latin syzygia conjunction, from Greek, from syzygos yoked together, from syn- + zygon yoke. And If you've seen the musical "The 25th Annual Putnam County Spelling Bee", it's one of the first words they spell. :D Haha! "...a syzygy is basically an alignment of celestial bodies." Syzygy definition: In Astronomy, a syzygy is basically an alignment of celestial bodies. From earth, when we see a solar or lunar eclipse, it means the moon, the earth and the sun are in alignment or in conjunction, hence the shadow of one on another. This is not limited to the sun, moon and earth, solar eclipses and lunar eclipses. Syzygies may be made up of the different celestial bodies in a gravitational system, e.g. our solar system. So which one was I born on? On March 10, 1982, Mercury, Venus, Earth, Mars, Jupiter, Saturn and Pluto was on the same side of the Sun, within a 95 degree wide interval (the closest they have been in more than 800 years!). Almost a decade before that, in 1974, John Gribbin and Stephen Plagemann published The Jupiter Effect, a bestselling book that predicted that on March 10, 1982 the alignment of the planets would create a number of catastrophes, including a great earthquake on the San Andreas Fault. "...the alignment of the planets would create a number of catastrophes, including a great earthquake..."
A few weeks prior to that, there was indeed an earthquake somewhere in California which triggered a lot of talks and a lot of press about the "coming end of the world". Three days before that, my mother went into labor for her second child (me!). She had labor pains and was already in bed with the comadrona (midwife) and my dad by her side. However, I was not ready to come out yet. Not yet! On March 10, 1982 the predicted Syzygy did happen to the delight of star gazers but the catastrophes did not occur, as the gravitational effect of the other planets on the Earth’s crust is minimal even at their closest approach. Then at the stroke of midnight on March 11, 1982, while everyone was celebrating that they were still alive (haha! ), my mom, already 3 days in "labor" finally gave birth to a handsome, I mean healthy baby boy. I suppose I really had ABSOLUTELY NOTHING to do with it, but it's nicer to think that the world did not end because I was going to be born! Hehehe! What are the effects of syzygies on the Earth? "The syzygy of 1982 had no real "effects" on Earth - even the combined gravity of all the planets aligned can't hold a candle to the gravity exerted by the Sun or Moon. 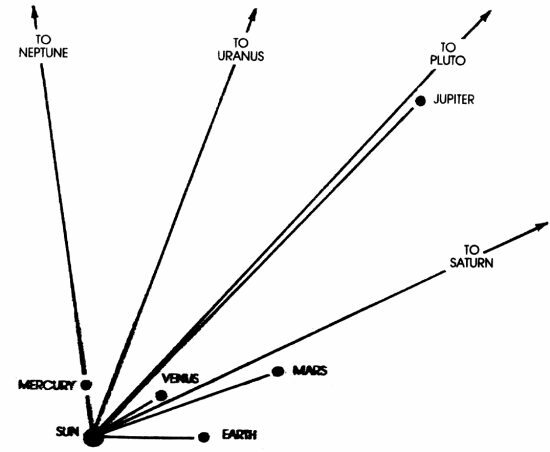 That said, there was one important consequence of the 1982 alignment of the planets: the Voyager missions. Because they were all relatively close at that time, it allowed us to launch two spacecrafts in 1977 to conduct a "Grand Tour" of the outer solar system, and one of the spacecraft at least was able to visit Jupiter in 1979, Saturn in 1981, Uranus in 1986, and Neptune in 1989. So, I guess in that sense it can be said to have an "effect" on Earth in that we were able to greatly increase our knowledge of the outer solar system..."
I refuse to end this post on a corny note. So I go back to my earlier (non-)assertion...that it nicer to think that the world did not end because I was going to be born! wow. interesting origin you have there. 3 days of labor, oh my! But are you going to shake the earth??? Thanks for the explanation! I had wondered and just was too lazy to go find out! sorry bout that.. :) how can i follow you kuya? Now I know how to pronounce that word. Wow, what a special person you are. But your mom already knows that! Did you hate it? Did you like it? I must admit that I learn something "new" every time that I visit your blog. @Delwyn: Maybe, who knows? :p haha! @Megan: Ur welcome! and stop being lazy! haha! @The Techno Dome aka Rommel: Thanks for the visit. Your link is on the Blogroll page! @sheri amor: Thanks for the follow! Hi Deedee! I appreciate it! Now you can use 'syzygy' in a game of scrabble, and can define it too! Thanks Solo. Teka, ikaw din ba si Jules? May dual personality ka pala. hehehe. "I suppose I really had ABSOLUTELY NOTHING to do with it, but it's nicer to think that the world did not end because I was going to be born! Hehehe!" i've never considered myself a writer, a blogger perhaps, but a writer no. Thanks! Yes, it is I, syzygy boy. Lol. If I was a super hero, that'd be my name. lol. Mahirap yata sabihin. It would have been awesome to have witnessed that planetary alignment! There was a recent one, do you remember? When the moon and 2 stars made a smiley face in the night sky? hehe. cute nga ung name na un. ^^, ah, un ba un. sayang nga di ko nakita. hehehe.